We are calling on our supporters to become a Sea of Hands Campaigner and actively engage with their local politicians this election to ensure that Aboriginal and Torres Strait Islander Affairs is not forgotten. You can take action with the tools below. 2. Review meeting with your local candidates form. ANTaR - national advocacy organisation for Aboriginal and Torres Strait Islander rights, has today welcomed the release of Labor’s Closing the Gap policy platform in Redfern. Read our Media Release here. ANTaR today released a platform of action for government across a range of areas based on clear calls from Aboriginal and Torres Strait Islander organisations, to make clear to an incoming government what must be done. These actions have been called for by First Peoples and must be taken up by government in partnership with Aboriginal and Torres Strait Islander people. We will be taking it to government, engaging with our supporters on it, and continuing to steadfastly stand with Aboriginal and Torres Strait Islander people for justice, rights and respect. The National Congress of Australia’s First peoples have put forward a series of challenges for the incoming government. Building on the Redfern Statement issued earlier this week, the Co-Chairs of the National Congress has stressed the importance of establishing a relationship between Australia’s First Peoples and the government. For too long First peoples have been a political toy. This must stop, we must stop the rot. Read National Congresses statement here. Today, Aboriginal and Torres Strait Islander peak representative bodies delivered an historic statement and call for all political parties to listen to them to address the appalling disadvantage faced by First Peoples. ANTaR, as a supporting organisation to the statement, calls on all political parties to commit to the clear policy platform set out, and for the incoming government and parliament to work with Aboriginal and Torres Strait Islander people and their representatives to fully implement it. ANTaR pauses today to honour the legacy of ‪#‎EddieMabo‬. 24 years ago, the High Court ruled that terra nullius was a legal fiction and recognised that native title exists. 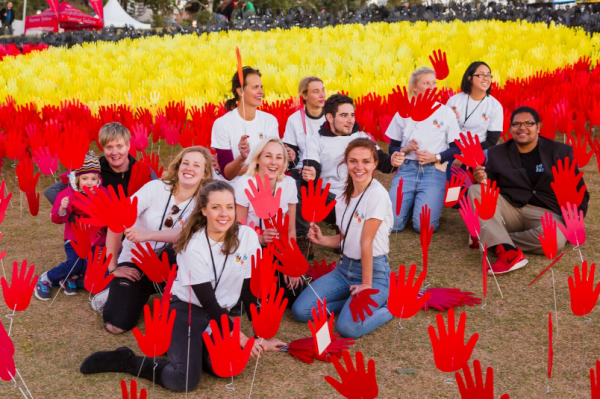 Sea of Hands at Barangaroo - Thanks to our volunteers! "The design for this years Sea of Hands display was created by Brenda L Croft, a Gurindji/Malngin/Mudpurra artist and researcher. 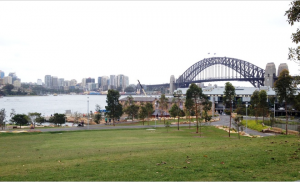 The design is inspired by historical portraits depicting Eora men, including Bennelong, one of Barangaroo's husbands, in customary ochre body markings. National advocacy organisation for Aboriginal and Torres Strait Islander rights, ANTaR, today expressed dismay that the Indigenous Affairs Minister is refusing to fund National Congress of Australia’s First Peoples after the Election.